“The Greatest Of All Time,” a “Mastermind,” the “Godfather of skiing and teaching,” the “complete package,” “nothing rattles Randy.” These may sound like film reviews, but it’s just what people say when they know Randy Brooks. The esteem in which the Breck Guides hold him is unmistakable, and he has been a true mentor to many of them throughout their careers. Randy, in his laid-back style, is of course, understated about his impact on those around him. Of course, Randy wasn’t always a ski guru. For a little while, he was just a kid growing up in Michigan who enjoyed the outdoors. That lasted until his local newspaper ran a $25 deal for gear rentals, lift tickets, and a ride to Cannonsburg Ski Area near Grand Rapids. “How could anyone say ‘no’ to that?” thought Randy. At the little resort of Cannonsburg, boasting 250 vertical feet, the Godfather got his start. From then on, he always knew he wanted to ski. By the time he graduated college in 1982, Randy had the bug badly. He and five friends loaded up in their Pinto station wagon and headed west. 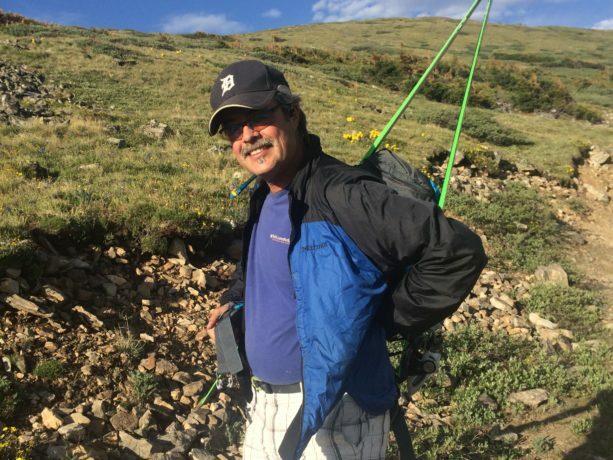 He landed happily in Breck where he has remained ever since. Though he is rooted in Breck, Randy’s passion for skiing has taken him far and wide in search of powder and adventure. 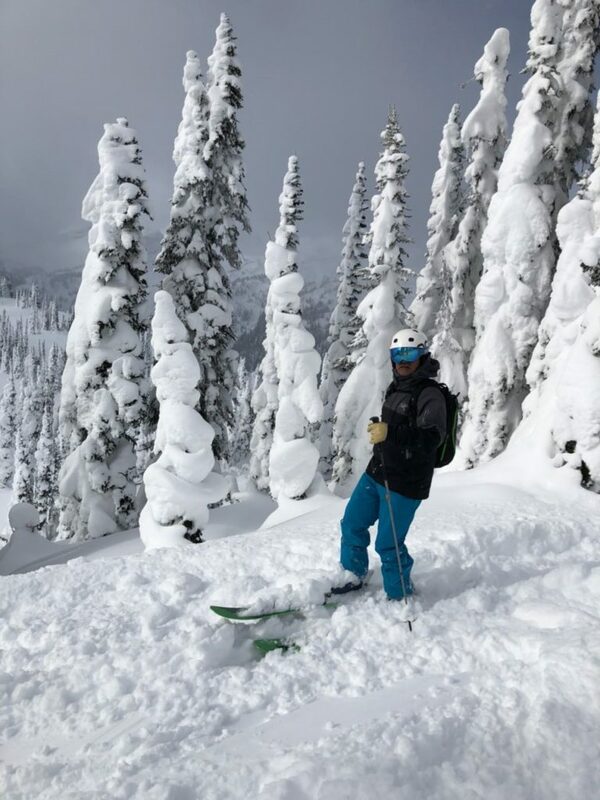 From heli-skiing in various South American and Alaskan locations to cat skiing throughout Canada, he is a seasoned expert in ski travel (and in having fun).